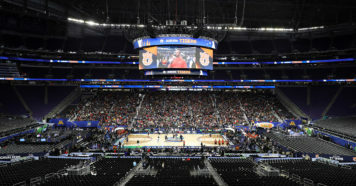 This first-round battle features a traditional basketball powerhouse against a tournament newcomer, with Purdue making its fifth-straight NCAA Tournament appearance while Jeff Jones and Old Dominion go dancing for the first time in eight seasons. The Boilermakers were at a crossroads earlier in the season. 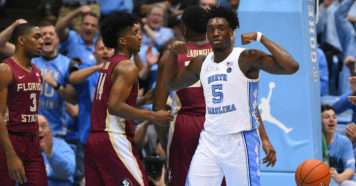 They sat at 9-6 coming off a 77-59 road loss to Michigan State and had suffered non-conference defeats at the hands of Texas, Notre Dame and Florida State. Entering the heart of Big Ten play, Purdue could’ve easily thrown in the towel. Instead, the team won eight straight games to shoot up the Big Ten standings, eventually grabbing a share of the regular season conference title with a 16-4 record. Purdue avenged their earlier loss to Michigan State during its streak, which featured the Boilermakers having a 14.25-point average margin of victory. Edwards, the team’s star, averaged 24.8 points per game during the run. He’s averaging 23.0 points per game on the year. Purdue is fifth in offensive efficiency according to kenpom.com despite playing at one of the slowest tempos in the country, but the Boilermakers make the most of their limited possessions and use their defense to close out games. They also create second-chance opportunities with the 17th best offensive rebound percentage in the country, according to kenpom.com. Painter has an efficient squad on both ends of the floor and as well as a superstar to lead the way in crucial moments. The Monarchs needed some heroics in the Conference USA tournament in order to even reach the Big Dance. Old Dominion edged out Louisiana Tech 57-56 before beating UAB 61-59 to make the title game. Even the final against Western Kentucky was a tough 62-56 victory. Luckily for the Monarchs, they were able to overcome poor performances from their stars. Caver struggled in the conference tournament, shooting just 28.8 percent from the floor and 23.5 percent from behind the arc. B.J. Stith, the team’s leading scorer, only hit 30.9 percent of his shots from the field and just 30.7 of his attempts from deep. Stith is more of a sure thing for Old Dominion in the NCAA Tournament, but Caver is the wild card. If he can get hot, the Monarchs have a chance at an upset. Old Dominion is ranked 325th in tempo, meaning both teams will be looking to grind out points. This unit has serious momentum from the conference tournament and their non-conference wins against tournament-bound VCU and Syracuse will give them more confidence. With three seniors leading the way, don’t expect for the Monarchs to back down from the challenge. 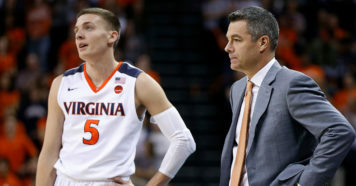 What’s Next for Virginia After Kyle Guy Stays in the 2019 NBA Draft?